Ceremonial duties are an important part of Army history and tradition. 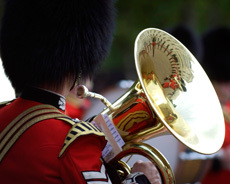 The Household Division provides both ceremonial and operational support for the Crown. Royal occasions such as the State Opening of Parliament, Trooping the Colour (Queen’s Birthday Parade) and Beating Retreat are some of the most colourful and exciting events of the year. More modest ceremonies such as Changing the Guard, form an important part of the Household Division’s working day. Ceremonial Events hold a powerful fascination and are full of symbolism, tradition and meaning. 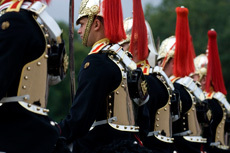 In this section you will find links to everything you need to know about Household Division Ceremonial Events including their origin and significance and how to attend them. The Changing the Guard ceremony at Buckingham Palace follows a traditional format that is the basis for guard changing ceremonies which take place at other Palaces and Royal Residences. The Queen’s Life Guard is provided by men of the Household Cavalry Mounted Regiment at Horse Guards. The ceremony takes place daily on Horse Guards Parade and involves the exchange of the Old Guard with the New Guard. 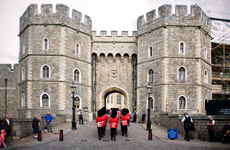 Windsor Castle is one of three official residences of The Queen and has been home to the Sovereign for over 900 years. Changing the Guard takes place daily within the Castle grounds. The Tower Guard usually posts a sentry outside the Jewel House and one outside The Queen’s House. 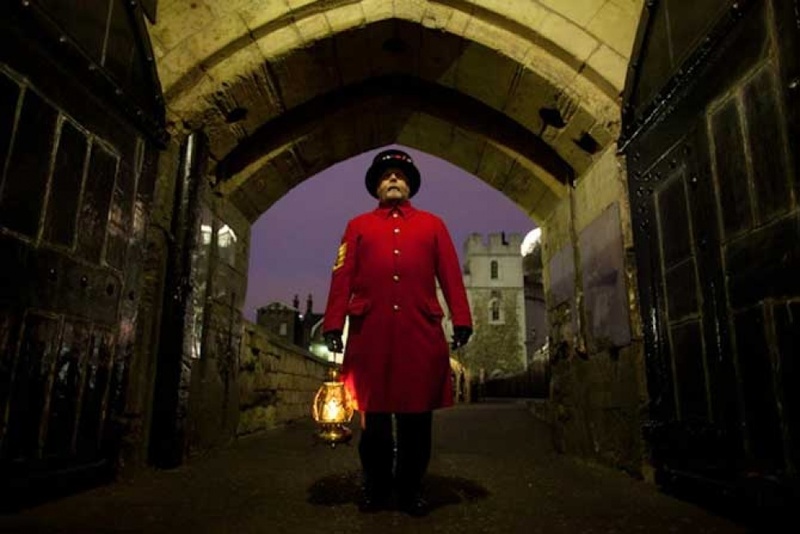 As the protection of the Tower is their responsibility (in conjunction with the Yeomen Warders and the Jewel House wardens), the Guard must also see it is secure at night. The State Opening of Parliament marks the formal start of the parliamentary year and the Queen's Speech sets out the government’s agenda for the coming session, outlining proposed policies and legislation. The Sovereign's birthday is officially celebrated by the ceremony of Trooping the Colour. 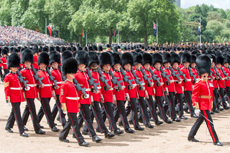 This impressive display of pageantry takes place on a Saturday in June by her personal troops, the Household Division, on Horse Guards Parade, with Her Majesty the Queen herself attending and taking the salute. The Beating Retreat sunset ceremony on Horse Guards Parade has evolved into a colourful pageant of military music and precision drill carried out by the Mounted Bands of the Household Cavalry and the Massed Bands of the Household Division. A Military Musical Spectacular performed by the Massed Bands of the Household Division. A rare occasion to see all the seven bands playing together. 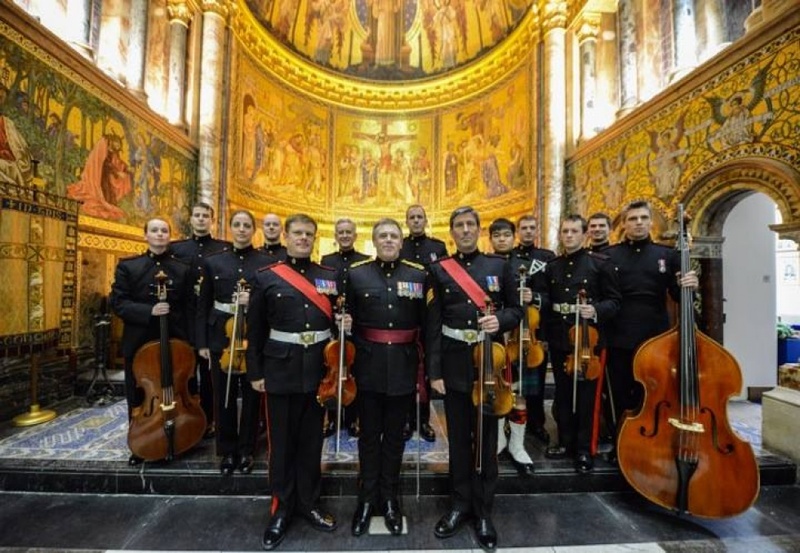 An exciting monthly series of lunchtime recitals and evening concerts presented by the Guards' Chapel and the Household Division. 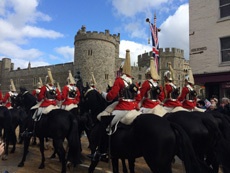 The parade sees both roles of the Household Cavalry on display, with the horses of the Mounted Regiment alongside the armoured vehicles of the Operational Regiment.